The Parenting Junkie shows us today how to raise grateful children. Want to know how to have conversations about Thanksgiving gratitude this holiday season? In a world of instant gratification, teaching kids gratitude can be tricky and difficult. A kids gratitude journal is one of many helpful tips discussed in this week’s video. Gratitude journals are one of the best ways to instill gratitude in kids and adults! Learn how to increase gratitude and to create a gratitude practice in your home. Do you need gratitude practice ideas? We have 10 tips to learn how to be grateful! What is gratitude? Appreciation of the things in life you already have! Gratitude and thankfulness is an important part of life and important to cultivate. 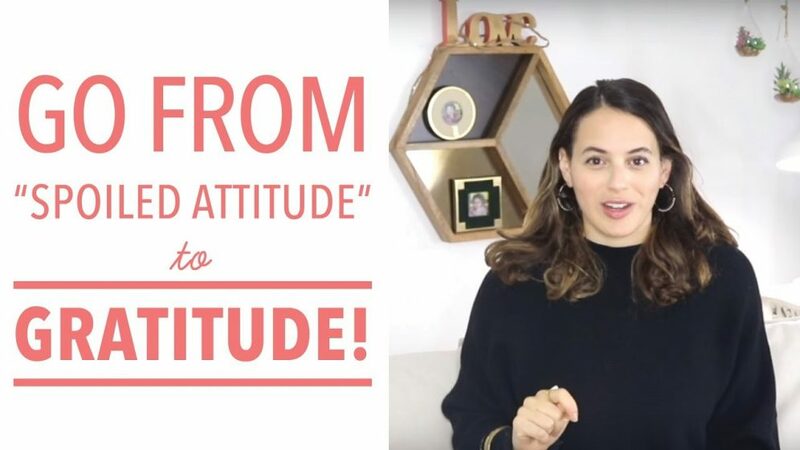 Having an abundance mindset or a gratitude mindset is the secret to cultivating a happy life! More tips like, volunteer with family, can help you teach kids how to practice gratitude. Expressing gratitude is one of the ways you can turn a negative mindset into a positive one. Do you have ungrateful kids? Do you want to know how to deal with ungrateful children? Or how to deal with spoiled children? Want to teach an attitude of gratitude to your children? Then tune into today’s video!